The Sacro Monte della SS. Trinità di Ghiffa is located on Piemonte’s shore of Lake Maggiore very close to Verbania Pallanza. It is reachable from the lakeshore road that coasts the Lake aside of villas and parks. Ghiffa is a touristy and wellness village on a small promontory and characterized by an all year warm weather. 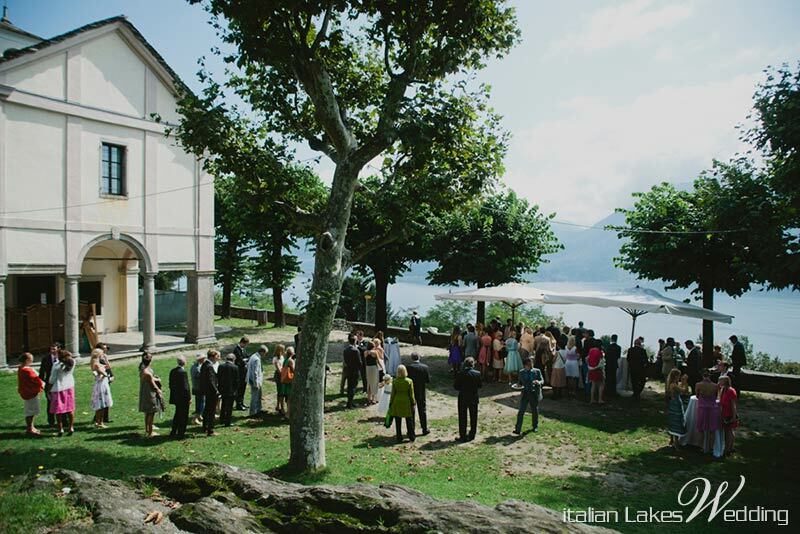 Ghiffa and its Sacro Monte with quiet Lake Maggiore and charming mountains near Verbania offer a harmonic combination of nature and culture that make those places the perfect frame for your wedding on Lake Maggiore. The Sacro Monte of Ghiffa is a baroque monumental complex that includes churches, porches, frescoes and chapels at 360 metres on sea level with stunning view on a wide part of Lake and hills. This place is a Natural Reserve too. 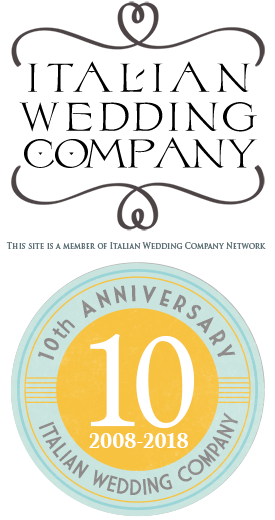 It is located at foot of Cargiago Mt. The park is 200 hectares. It has many little roads with its tiny stone made walls and votive chapels. The Sacro Monte of Ghiffa includes 3 main chapels voted to bible characters and 2 other chapels and Via Crucis porch. This place was very popular and seems it should have been a wider project representing episodes from old and new testament, but unfortunately its was never brought to end. Wedding ceremonies are celebrated in the main church, the Sanctuary of SS Trinity. It was built between 1605 and 1617 on an ancient medieval building. 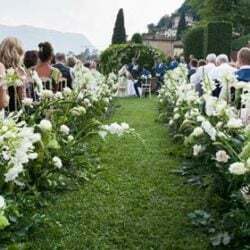 The church can host about 80 people and can be decorated with stunning flower arrangements especially on external columns, on tiny altar and on the inner balcony. 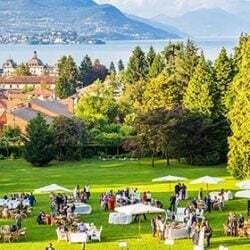 At the end of the ceremony bridegrooms can have their beautiful wedding pictures appreciating the mystic scenery of the Sacro Monte and unforgettable views over Lake Maggiore far below. Near the church there is a tiny restaurant with wide parking area for bridegrooms and their guests. well I’m an italian girl and I live in Verbania but i decided to write in English so that everyone could read… I’m 20 years old and I study law in Varese but I love your job!! Your events and weddings are really faboulus and I’m writing now to ask you to consider me if in the future you’ll need an assistant or a help to do anything! 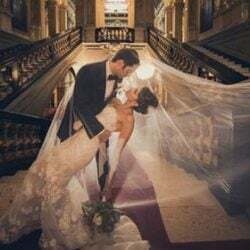 Perhaps I like your job so much because my father is the vice-director of the “Sacro Monte di Ghiffa” and I’ve always thought about the weddings organized there as “real fairytales”. hope you’ll read my message! thanks a lot for your lovely email! Thanks for your nice appreciation on our job. If we will need assistance and help we will surely consider your kind proposal.